Shoes, shoes and more shoes! It’s many a woman's dream to be the owner of hundreds of pairs of shoes and many do! But not many of us are blessed with endless space or a walk-in wardrobe that only dreams are made of. So how do we have the shoes, without the storage? Well… it’s time to get creative! We’ve been doing some fishing around to see what useful tips and storage solutions for women’s shoes there are out there and we have to say, we’re suitably impressed! There are so many shoe storage options out there that can help to maximise a space while still looking funky at the same time. Many are also perfect for the DIY enthusiast, so getting creative doesn’t have to cost the earth either, which is always welcome! Effective shoe storage can also help to protect your treasured footwear as well as organise it. Shoes that end up in a pile by the front door won’t look pretty for very long, so it’s important to show them the love and respect they deserve by providing them with their own little piece of storage heaven. As easy as it is just to throw shoes in the bottom of the wardrobe, there’s a good chance it won’t do them any favours. Different types and styles of shoes require different types of storage, what works for stiletto heels isn’t necessarily going to work for wellies and so on. The materials your shoes are made of should also be taken into consideration when it comes to how they’re stored. For example, you don’t really want to store women’s leather or suede shoes near a heat source, as doing so can cause the material to dry out and ultimately crack. One of the biggest things to consider when storing shoes (of any type) is direct sunlight. No shoes should be left in the sun for long periods of time as it’s likely they’ll start to bleach. Walking around with shoes that aren’t quite the same colour is never a good look. If you can’t avoid direct sunlight, consider putting your shoes in a cloth bag. This will prevent any of the harmful rays reaching your shoes. Using protective bags can also help prevent scuffs and marks, especially if you have a particularly delicate pair of patent shoes or jewelled sandals. If you find that boots are difficult to store - particularly long leg boots — there are a couple of simple things you can do to help maintain their shape and protect against damage. You could use specially made inserts called shoe trees that are designed to fit the exact shape of your boots, helping them to stand up. If however you want a quick and super cheap fix, a pool noodle cut in half can be just as effective. Another way to help them keep their shape is to store them upside down: use wooden dowling that can be inserted inside the boots, attach this to a board that can be fixed to the wall for a simple yet effective boot store. TOP TIP: Always make sure the soles of your boots are completely dry before turning upside down, boots with dirty water marks are never something you want! When floor space is at a premium, often the only way you can go is up, and using old, seemingly useless items to build a totally unique shoe rack is definitely something that’s worth a try. If your tastes are quite shabby-chic or you want to channel those French provincial vibes, old fruit crates that are stacked and then secured together can make a great feature for your home as well as serve a purpose. You could even paint them in a funky colour to really make your new shoe rack stand out. Another idea that we love uses drain pipes (stick with us) to give you a stylish and modern shoe rack. Simply take a length of drainpipe and cut into a number of smaller lengths of approximately 12-14 inches. Depending on how many “holes” you’d like, consider the circumference of the drainpipe before cutting, will it be too big, too small or just right? The cut pieces can then be arranged and stacked as you wish, using hot glue to secure them as you build. If you’d like to repurpose an old set of shelves, this is probably the easiest way to create yourself a new shoe rack. Most units will have pre-drilled holes so the height of each shelf can be varied. First, set each shelf at an angle so that it’s raked forward. From there, use wooden dowling to create a “railing” across the front of each shelf, this may require some hole drilling but is extremely useful as it will prevent the shoes from sliding off the shelf. This type of shoe rack is great for showcasing your collection of jazzy party shoes. If you’re not feeling the whole build-your-own-shoe-rack thing, then hooks can be your new best friend when it comes to shoe storage. Simply add some strong hooks to any empty wall space, and suspend some durable rope between them. Use modified coat hangers to hang your shoes from them. This method works best with flat shoes such as ballet pumps and flat sandals. Hooks can also be added to the inside of your wardrobe if you want to maximise the space in there (use stick on hooks if you don’t want to make holes). This is great if you want to store trainers or lace up pumps. Just tie the laces together and hang a pair on each hook… voilà! What about using floor space that you thought you didn’t have? That’s right, we’re talking about that cavernous abyss that’s under your bed. Admittedly this doesn’t apply to everyone but this space is perfect for shoe storage if you have it. To make life even easier, why not create yourself a shoe “drawer”? Simply find a large picture frame, attach it to a board of equal size, add a small castor wheel to each corner and away you go, the perfect pull out for all your pretties. Add a touch of paint to match your bed and you have yourself the perfect shoe storage drawer. This works just as well with an actual drawer too, just make sure it’s not being used first! Thoroughly clean them - Always make sure you give your shoes a good clean before putting them away, remove any dirt or debris. If your shoes are leather, use a good quality cleaner and an antibacterial shoe spray for added protection. Make sure they’re totally dry - The biggest mistake you can make is putting shoes away that are damp. Thoroughly towel dry them after cleaning to remove as much moisture as possible. Stuffing your shoes with scrunched up newspaper will also help draw out any additional moisture. Store in a cool, dry place - Probably a pretty obvious one but you don’t want to keep your shoes in conditions that are perpetually damp or hot. This is the perfect environment for bacteria to grow so alway opt for a temperate, dry storage space. Avoid storing shoes in places like the garage or shed. Avoid using plastic storage containers - As protective as they are, they also create a pretty good environment for bacteria growth as they don’t allow air to circulate around the shoes. 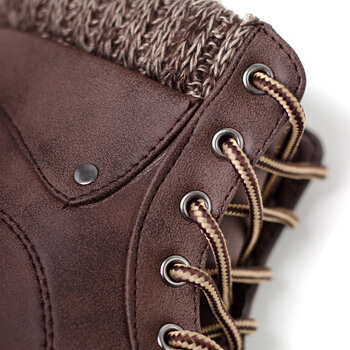 If there is any moisture present, there's a good chance that condensation will form, ultimately damaging your footwear. Shoe storage can be a real problem, especially if you’re a keen collector. Getting a little innovative can go a long way and will not only serve a purpose but can add a new feature to your home too. We hope you find our tips and tricks for shoe storage and maintenance useful… because everyone deserves perfect shoes! There’s Your Excuse to Buy More Shoes!